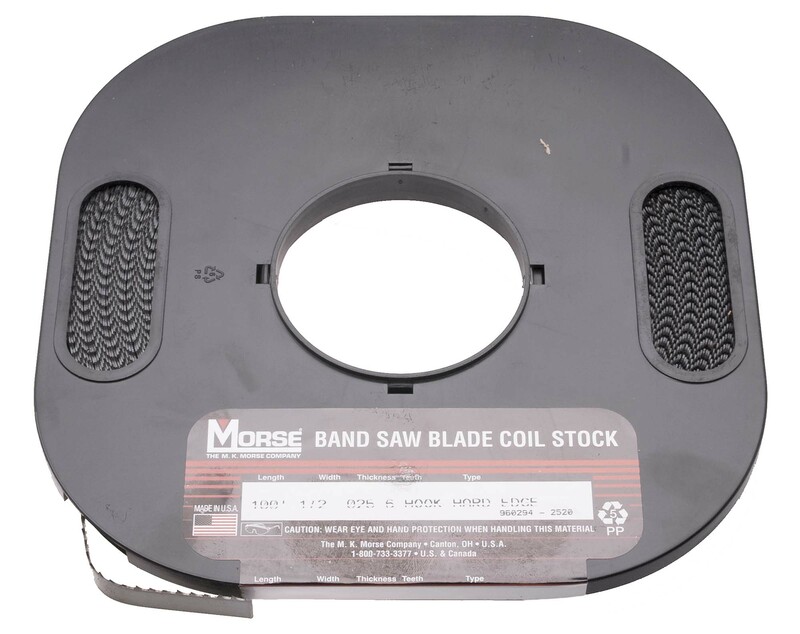 Carbon Steel Hard Edge Flexback Blades. Made in USA by M K Morse. Boxed in 100 foot rolls. Metal Cutting - Hard Edge - Flexible Back. Skip Tooth for more chip clearance on soft materials such as aluminum, soft brass and plastics.